Forbes recently published its 30 Under 30 list of movers and shakers. Looking at the entertainment and sports Asia category, and I'm pretty sure drama fans will be quite excited to see some familiar faces in the c-entertainment and k-entertainment industries included in this year's lineup. Amongst the elite names listed is popular musician/actress Ouyang Nana and actor Liu Haoran. 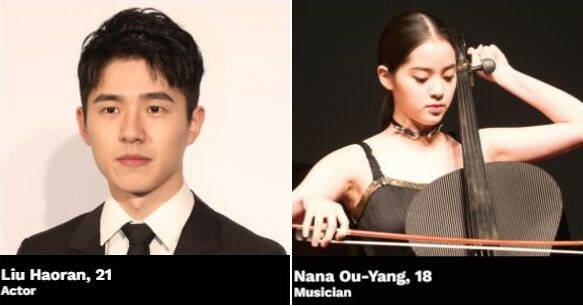 Things are looking up for Ouyang Nana as she adds another feather to her prodigious cap (and may I say at a very young age at that!) - being named in Forbes magazine's "30 Under 30" for 2019. The music prodigy has also dabbled in acting, with a new drama adaptation of The Great Ruler coming soon. 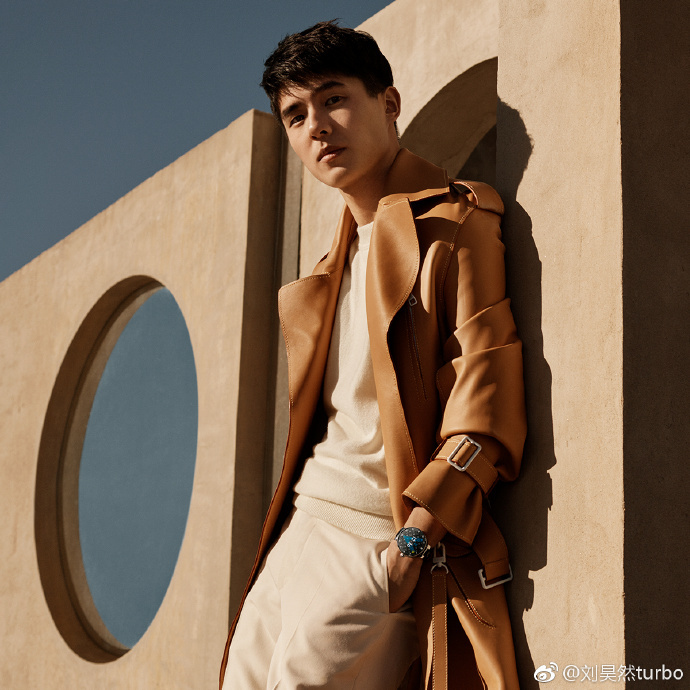 Another "Bright Young Thing" to put in your radar is Liu Haoran, who at age 21 (seriously, I cannot wrap my mind around the fact that he's only 21 and has barely scratched the surface when I look at the array of his work available) is fast becoming a household name in the industry. The actor is best known for his work in the Detective Chinatown series and Nirvana in Fire 2 to name a few. His body of work has earned him multiple award nominations and should very definitely be one of the young actors to watch out for. Other notable entertainment heavy weights include South Korean actress Kim Taeri who stole the limelight as the lead role in the acclaimed The Handmaid's Tale and the popular kpop girl group BLACKPINK who had us "ddu du ddu du -ing" and oh yeah oh yeah-ing to their hit song last summer. Last but not the least, let's not forget Chae-rin Lee (aka CL), the former leader of the iconic South Korean K-pop girl group 2NE1 whose sold out US solo tour makes her the "first Korean singer to solo in a major New York venue". It would have been nice if you shared this list also.